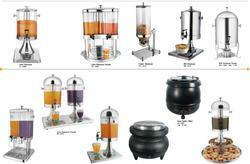 We are a well-known as trader,manufacturer and exporter of a vast array of Juice Dispencer & Cereal Dispencer . To furnish the diverse requirements of our clients in the best possible manner we are involved in offering an extensive range ofDispensers. Looking for Juice Dispencer & Cereal Dispencer ?